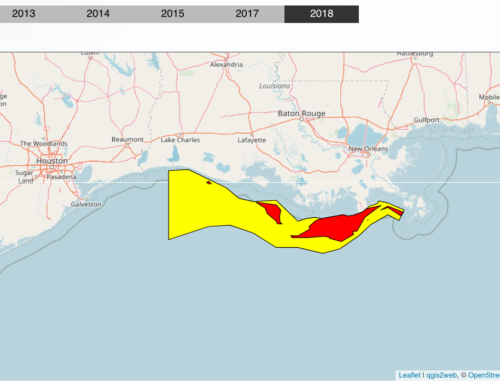 Louisiana isn’t a record-breaker, but it does rival some of the largest low-oxygen areas measured in the Gulf of Mexico. 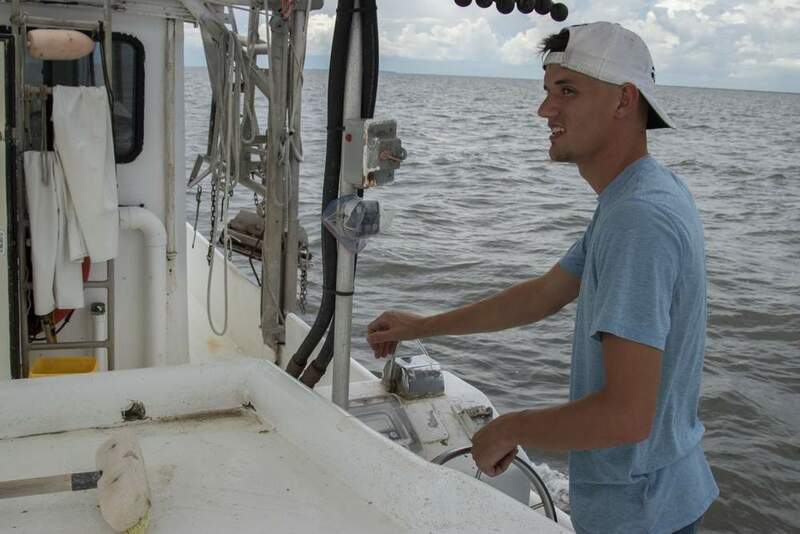 Nancy Rabalais, executive director of the Louisiana Universities Marine Consortium in Cocodrie, recently completed her yearly survey of the coastal dead zone and released the results Monday. 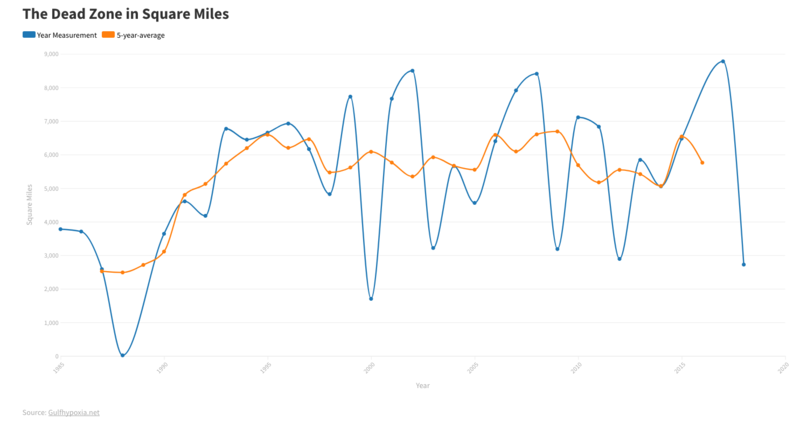 She and a team of scientists from LSU and University of Iowa found the dead zone measured 8,000 square miles from July 21 through July 27. 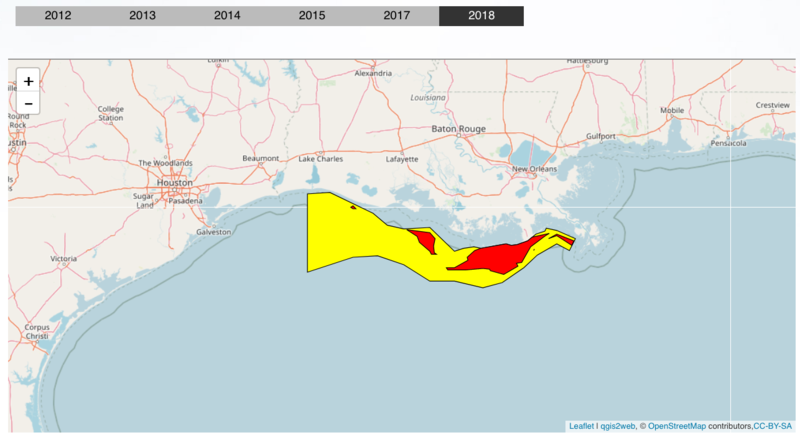 That means this year’s size ties with the one found in 2001 as the second-largest dead zone measured in the Gulf of Mexico since hypoxia mapping started in 1985, according to a press release from LUMCON. The largest measured dead zone occurred in 2002 when it measured 8,400 square miles, LUMCON reported. Earlier this year, Eugene Turner, professor at the School of Coast and Environment at LSU, came out with his prediction for the dead zone based on measured amounts of nutrients coming down the Mississippi River. Those measurements were put into a formula used to provide a forecast size for the dead zone of 8,800 square miles. 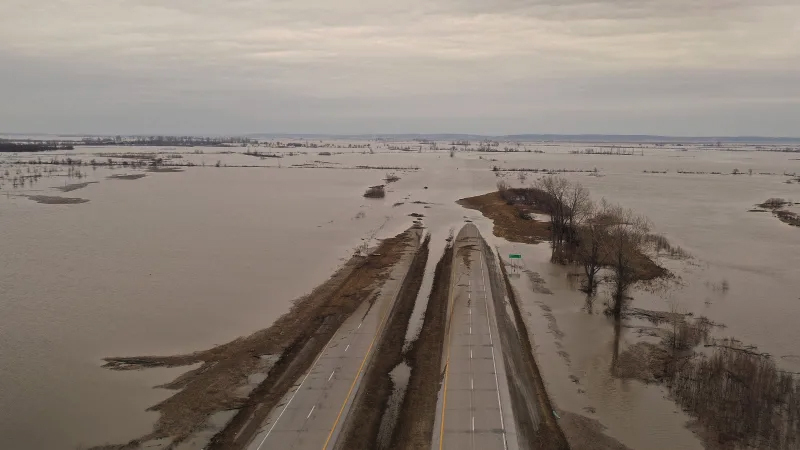 The dead zone, also known as hypoxia, forms during summer months after nutrients from fertilizer, urban runoff and other sources flow down the Mississippi River into the Gulf of Mexico. This nutrient-rich water helps feed the grown of microscopic organisms which use up oxygen when they die, fall to the water bottom and decompose. In the summer, this low-oxygen water doesn’t get mixed with the oxygen-carrying water in the top layer. This creates a "dead zone" where oxygen levels in the water are too low to support life. 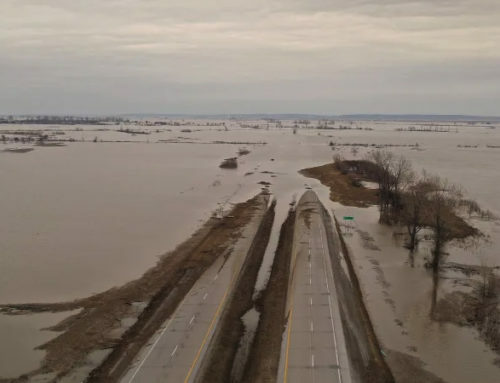 Turner’s prediction took into account the larger than normal amounts of nutrients from agriculture sources and from higher than normal water flows down the Mississippi River this spring. 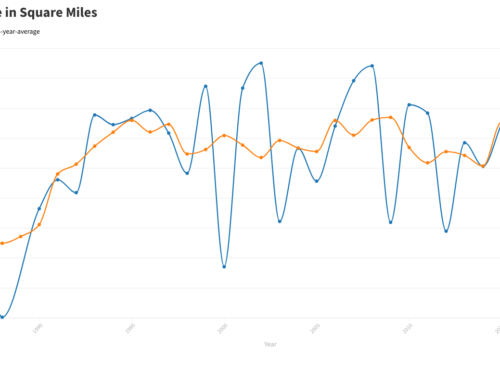 "The nitrogen loading to the Gulf of Mexico in May of this year was 37 percent higher than 2007 and the highest since measurements began in 1970," according to the LUMCON news release. Turner has attributed much of that increase to additional land being used for farming to produce ethanol. One of the reasons this year’s dead zone might not be a big as predicted is Hurricane Dolly, which helped "mix" the water and bring oxygen back in to areas that might have measured low before the storm, Turner said. "The dead zone area would have been much larger if the hurricane hadn’t gone through," Turner said. "They had 8- to 10-foot seas sometimes." People working on the issue of hypoxia in Louisiana said the size of the dead zone this year points to the need to put money behind some of the things outlined and discussed in the national Mississippi River/Gulf of Mexico Watershed Nutrient Task Force 2008 Action Plan. This is a reworking of a 2001 Action Plan. 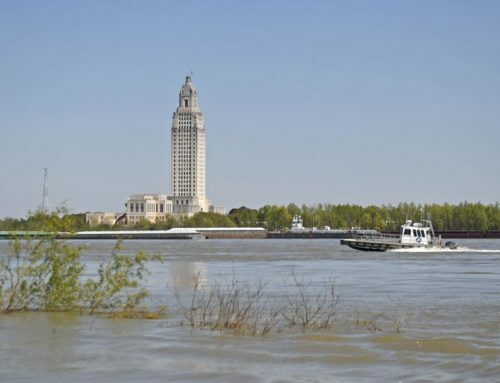 "The key priority at this stage is for Louisiana’s congressional delegation to get federal funding for the states along the Mississippi and Ohio rivers to expand their efforts to alleviate this problem," wrote Doug Daigle, coordinator of the Louisiana Hypoxia Working Group, in an email. "Federal funding was promised to the states by the Clinton administration in 2001, but the Bush administration has not provided it." 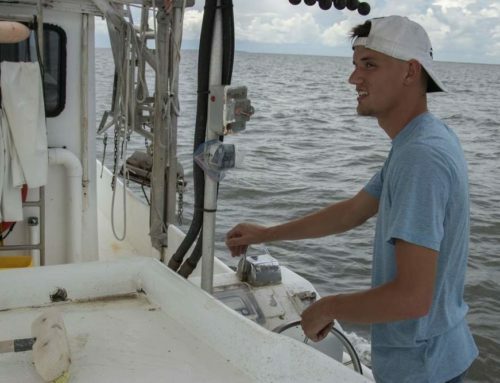 Len Bahr, director of applied science with the Governor’s Office of Coastal Affairs, said he’d also like to see hypoxia looked at as part of the overall problem facing Louisiana’s coast. "Once more we’re talking about it as a huge issue, but somewhat in a vacuum," Bahr said.